The Beach, the trees, the tranquillity - its all at your doorstep. Midway between Denmark and Albany just 1.5kms from Lowlands Beach and adjacent to West Cape Howe National Park and the Bibbulmun Track. The Snug oozes old world charm reminiscent of your Grandparents house. It is roomy and quirky with 2 bedrooms, fully equipped with quality furnishings & timber floors. There is a queen bed in one bedroom & 2 singles in the other, a foldaway bed is available for a 5th person. The Snug has a country style kitchen has a lovely old dresser; comfortable lounge area with leather suite, huge bathroom/laundry and it’s bright & airy. There's a wood heater for winter as well as convenient reverse cycle air conditioning for heating & cooling if preferred. The veranda is just perfect for watching the sun set or enjoying a BBQ. The Snug is set within its own fully fenced 1/4 acre of garden & lawns, great for kicking a footy & safe for children & pets. Our tariff at The Snug includes all bed linen, quilts, pillows & bath towels. There is a $20 fee per dog per stay and you are required to comply with our Pets Policy . RAC rating 4 star. The Snug is one of 6 cottages that are all fully self contained and have washing machines, dryers, Ipod Docks, TV’s, DVD Players and BBQ’s plus little extras like books, games, jigsaws, cards, picnic sets and room safes. All kitchens are well equipped with plenty of cooking utensils, quality appliances including oven, hotplates and microwave, coffee makers, crockery, cutlery and glassware. A small selection of complimentary DVD’s are available from reception where there is also a free WiFi hotspot. The cottages are self contained and not serviced during your stay, however, for longer stays we provide a towel change every 4-5 days, plus a weekly quick service, rubbish removal and linen change. The tariff includes a standard clean on departure, a service fee may be charged if additional cleaning or washing up is required after your departure. We also provide a range of dining options from fresh home made pizzas, curries, pies, roast chicken dinners, bangers n mash, tagines & pasta meals delivered hot to your door. Breakfast options, BBQ packs & packed lunches especially for walkers are also available. Living on the property allows us to offer our guests personal service & we are always happy to assist with travel information or any other special requests you may have. Our six cottages are distinctly different & spaced well apart over our 53 acre bush property, a nearby 50 acre bush property & another 100 acre bush & pastureland property. All are accessed by private driveways so you are not disturbed during your stay & can enjoy your holiday surrounded by nature in peace & quiet. 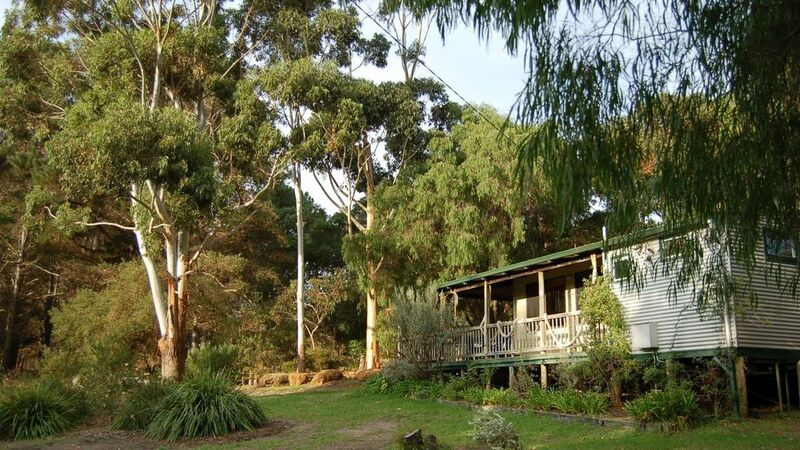 We are located adjacent to West Cape Howe National Park, only 1.5kms from Lowlands Beach & close to the Bibbulmun Track and Munda Biddi Cycle Trail. Please note that pets are only permitted at The Snug cottage by prior arrangement all other cottages are set within our wildlife preservation areas. We are proud of our award winning reputation and have been recognised by the independent Lonely Planet guide as one of the “Best Places to Stay” and a “Top Choice” for accommodation in Western Australia. We are also included in the top ten of the Western Australian Gold List for Self contained accommodation by the Star Ratings assessment agency based on verified guest reviews. We look forward to helping with your holiday plans and welcoming you to The Snug @ Cape Howe Cottages. A beautiful property, beautiful hosts, relaxing environment, a real home away from home. The property is very secluded with private access away from other cottages. It is a lovely cottage and has everything you could possibly need for a short or longer stay. Hosts Gaynor and David are very friendly and offer fantastic advice on what to see and do in the southern region. The bird life, garden & trees make it a peaceful, relaxing environment to sit and unwind. Wish we could have stayed longer. We went as a 4 day holiday treat for my family and loved every minute. It was a great secluded base to explore the Great Southern and we loved how well equipped the place was. Lovely home away from home with all the amenities we needed. The horses on the neighbouring land were a bonus and really made the day for our kids. This property does have serious wow factor, with a beautiful open plan layout. The bed was supremely comfortable. The spa bath was a bit dated and noisy, so we only used it once, but the shower was truly wonderful. We appreciated the take-away home cooking available from Gaynor. It was a lovely house with a nice large fenced lawn perfect for our dogs. The location is beautiful and it is an easy walk to the beach. Very good hospitality. Warm welcome and amenable with any requests. House was immaculately clean and no issues with stay. Recommend to anyone.